Thank you for your lovely words about the juice and sprout blocks! been posted at Sew, Mama, Sew!. 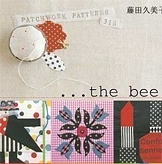 Here is a block I made last night for Charise for her theme, 'baskets' in Patchwork 318: The Bee. There is this really cute mermaid patternin the book that I've always thought looks like Charise andI knew I'd somehow want to include the mermaid in the block for her.So when she asked for baskets, I immediately had this picture of themermaid (= Charise) in a basket lol! I wasn't sure if that kind of crazy stuff was right up her alley, but my stubborn mind was insisting on the original idea. It took me a while to find the right solid for the skin.This one I used for the block was found in the section of"UV coated solids" at the store, so it basically means the mermaidCharise doesn't need any sun screen! That's cool!! You do such fantastic work! How did you get the name on the block? i really love this block ayumi. 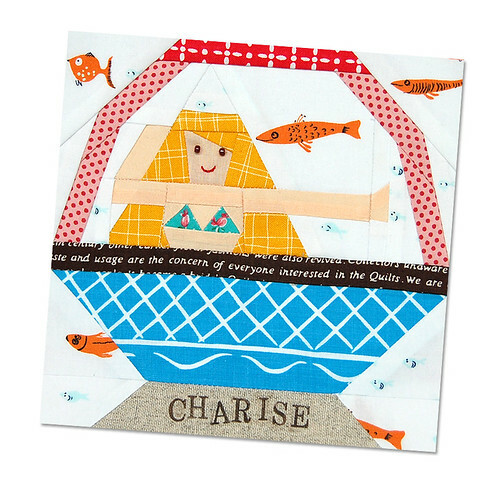 i bought charise's chalet pattern the other day and am looking forward to stitching it up. i bet she just loves this block! I've never been happier. I love it so much. Thank you lovely lady!! So cute- what a fun block with lovely details- the teeny weeny bikini! Such a cute block, and totally original! i love it! Oh this is beautiful!!! Only you could pull off a mermaid in a basket and it looks so cute! So cute! Love the fish! Ayumi she is so pretty! I just love her. Just the right kind of crazy! I love your sensibility so much! hello, I made a port / fork using your tutorial and wanted to thank. When can a hop in my blog to check it out. !!!! so cute ayumi. the skin fabric is perfect. And the fishies in the background, love them. she's going to love it. So cute! You have the best ideas. That is the cutest basket block ever. Lucky Charise! Beautiful design. How many hours do you spend to make this? Seriously cute! 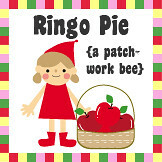 And those juice bar quilts are adorable! It's so fun! I'm sure Charise loves it! Im even liking it. I wanna have that. Hello Ayumi!! Your blog is wonderful! Lovely "Charise"!! Thanks for all your tutorials, i think i will try some of those beautiful proyects. Hugs from Italy. 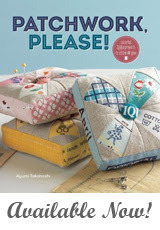 You have such imagination Ayumi and a fab sense of humour! Great basket! I love the fact that the sewing machine looks somewhat faded -- it gives it a "vintage" look -- could it be that the "ink" is not sufficient for the binding tape -- but then you may not see the detail of the stamp if it is smudged. Maybe holding it down longer?